Finally, the year 2019 is here and we believe it is going to be an amazing year in the flooring industry. As the practice is, it is time to take a cursory look at the flooring trends for this year. Hardwood flooring has continued to grow in terms of popularity and it is becoming the preferred choice for many homeowners. 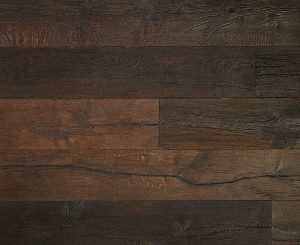 Although there is the invasion of wood-imitation flooring options in the market today, the fact remains that engineered wood and solid hardwood flooring will continue to be in high demand. Hardwood flooring is stylish, warm, natural, comfortable, and timeless; lasting for more than a century. As technology continues to advanced, other wood competitions like vinyl and planks continued to up their game, and in the same vein, hardwood manufacturers have also continued to be creative and innovative. In this blog, we will look at 2019 floor stain and color trends; floor finishes/sheens and textures; flooring materials and style preferences. 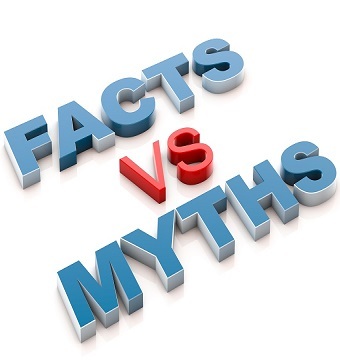 Besides, we will also take a look at the types of flooring that are out of date in 2019. Enjoy the reading! Generally, there is a significant shift from redder and warmer tones of flooring towards light and dark wood flooring. The browner and cooler tones are also gaining some attention. Let us look at these in detail. The trend towards the dark and cool toned hardwoods has continued to grow remarkably. 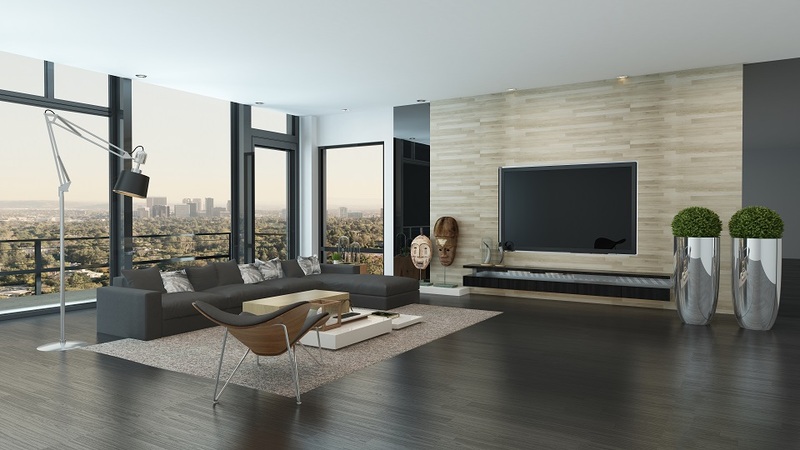 When it comes to hardwood choices, there seem to be two types of customers; the one that gives credence to style over maintenance and the one that completely loves darker floors but would rather opt for a lighter tone for the ease of maintenance. Whichever way you want to look at it, it is clear that cooler tones are very much preferred. Cooler tones enjoy a better preference for both floors and walls (especially the gray tones). It is crucial to point out that darker floors can be quite challenging when it comes to cleaning and maintenance but you can always find a way around it if that is really what you want. If you want dark color but not so dark, you may try antique brown, dark walnut, special walnut, coffee brown, or a blend of the colors. 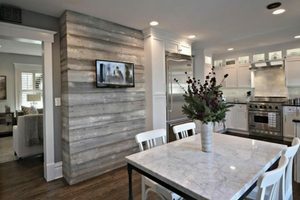 Gray and gray blends come in a wide variety of designs; in real wood, gray vinyl designed like wood, and tile designed like wood. The demand and trend for gray wood floor seemed to have started between 2010 and 2011, and by 2012, homeowners have bought into the trend. Within the last two to three years, there have been different variations of choice of grays. People started getting creative about the blends, with some blending in browns to achieve a beige/gray tone. Some others tried to subtly integrate gray with ebonies/blacks, and dark browns to achieve their desired tones. This trend will continue far into 2019 and might actually go beyond. On the extreme opposite of dark tone is the second most popular choice of flooring; light tone. This is perfect for homeowners that want to go natural. There is an inclination to forgo the yellows and opt for the cooler tones. 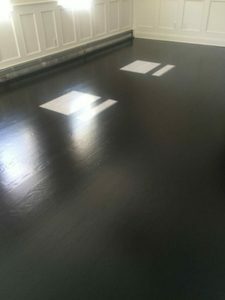 Therefore, people who are in tune with the trends are opting for the more environmentally friendly and high-grade waterborne polyurethane for their flooring. This gives a more contemporary, lighter, and more natural look without any yellowish tint. Yes! 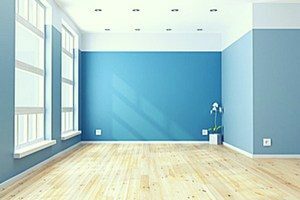 Whitewash floors are back and have started gaining popularity and 2019 is no different. For people who are familiar with whitewashed floors in the 80s, we are glad to let you know that they have been reformulated and redesigned for a more modern and contemporary look. Today’s whitewashes have more matte feel and there are many that are more subtle in makeup. They are best combined with white oak for a more contemporary feel. The latest trend features a more subtle whitewash which makes the floors look a bit more natural but somewhat lighter and whiter than the natural floors. Blond wood has the capacity to help you achieve the light feel you want while still giving the timeless feel. Choosing the blond wood floor gives you endless possibilities when it comes to choosing home décor. You can go all out for a contemporary and chic feel or you can opt for the homey and rustic vibe without altering your floors. Blond wood comes in white oak, bamboo, red oak, ash, and maple. The honey wood floor is definitely going to take the flooring scene by storm in 2019. Just a little darker than the blond wood, the honey wood is rich and light enough to offer the many benefits that come with blond wood. 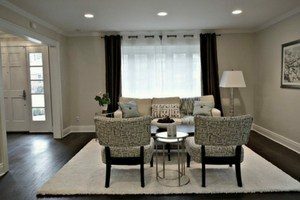 In addition to making your room feel more open and bigger, it also offers rich and nice warmth that generally comes with slightly darker tone floors. Honey wood floor features a natural tone and it comes in various trendy wood species. So what floor finishes/sheens and textures should you look out for in the year 2019? Read on to learn more about the trend. When it comes to natural looking finishes, it is all about low luster. Satin and matte finishes are known to be the most popular sheens in the market today. Really, glossy and semi-gloss are quite outdated. Apart from this, they are difficult to maintain as they reveal scratch, dent, and every speck of stain and dust. Satin and matte finishes remain the most popular and very practical. They look better in the long term and they are very easy to clean and maintain. High-grade polyurethanes are becoming more preferred because they are durable and environmentally-friendly. Oiled floors have nil volatile organic compounds (VOCs) and do not possess polyurethane. Instead, the oils infiltrate into the wood which gives a more natural and rich patina. Most of the oiled floors use linseed oil, tung, or a combination. There are some that use soy, hemp, sunflower, or safflower. Some other formulas utilize resin waxes like carnuma or beeswax to attain higher durability. Oiled floors enable homeowners to easily mend any scratch personally by simply applying extra oil on the surface. Wired brushed and textured floors are also trends to watch out for in 2019. Wire brushed floors come with subtle texture to boost the graining on the wood. 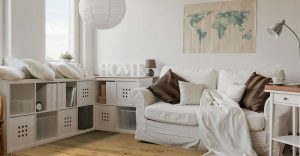 They are the contemporary adaptation of the distressed wood. They feature a solid vintage look as the wire brush heightens the graining instead of concealing it. The wood is stylish and helps to conceal everyday dirt, wear and tear. Unlike the traditional polyurethane finishes, the oil finishes infiltrate the wood, coating the layers and seeping into the wood. This makes the wood stronger and improves the durability and strength of the wood over time. It looks natural and organic which is what a typical homeowner wants for their home in 2019. The downside to this type of flooring is that it can make the floor susceptible to scratches and water damage. Matte finished floor is becoming the next big thing in the flooring market. Although satin has taken the first place within the last few years, it seems matte is about to take over. 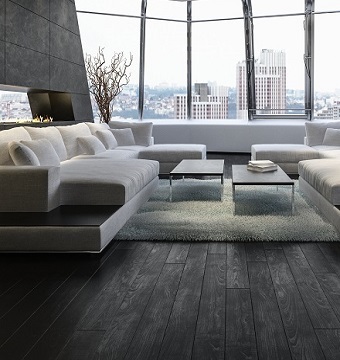 The matte floor makes a home warm, contemporary and feels expensive. It is essential to mention that the quality of the floor has a significant influence on the matte finish as a poor quality floor will look dull with a matte finish while a high-grade floor will look stunning. What are the likely material and style preferences in 2019? Explore the list below! Today, many homeowners are choosing solid hardwood over the shorter and cheaper alternatives like bamboo or engineered wood. Generally, solid hardwood lasts for more than a hundred years. 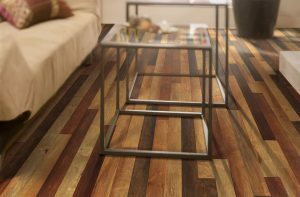 So if you are looking for a durable floor that will improve the value of your home, solid hardwood is the choice. With solid hardwood, you can sand, refinish, and alter the colors as preferences and styles changes. The preference for farmhouse style as well as rustic looks has considerably increased within the last few years. There is a wide range of options to choose from when it comes to farmhouse styles. 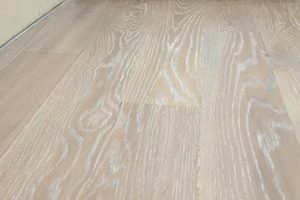 There are wider planks, cool, subtle, and paler tones, such as whitewashed, grays, and gray mixes floors; and floors with heightened graining and more knots. Farmhouse styles are indeed a return to the more simple, natural, and authentic look in flooring. Homeowners are strongly tilting towards simpler layouts, especially towards planks in straight lay. 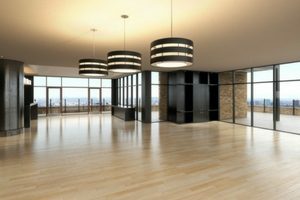 Many homeowners today want a simple and clean look for their floor, with minimal distractions. 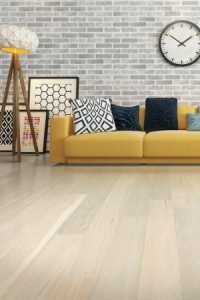 Wider planks are growing in popularity and 2019 is sure going to experience its own share of popularity with this flooring preference. Wider planks make home space look bigger. 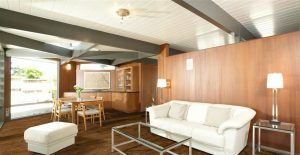 They make older homes look and feel more authentic and more rustic while making modern homes look more contemporary. Oak makes up about 80% of solid wood flooring in the United States. 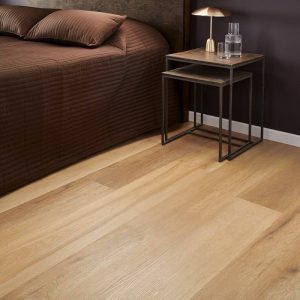 Although red oak makes up the majority of the figure, homeowners are now demanding the more contemporary look and smoother graining of white oak. The white oak features contemporary linear mineral stripes which makes it a choice for many homeowners. 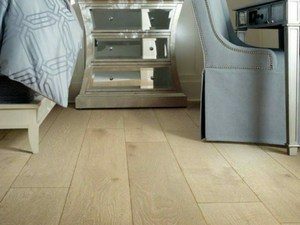 Another interesting benefit of the white oak floor is that it is more water resistant when compared to red oak because of its molecular structure. Thanks to more advanced flooring technology, it’s now very easy to give your floors a more natural look than their original status. It is now easy for manufacturers to replicate the look and feel of different flooring options. There is a wide variation of wood colors, with some colors incorporating bright tones in neutral colors. Distressed wood floors come with a lot of personalities. Let’s quickly point out here that distressed wood is majorly done by machines in the factory. However, they come out looking very nice. For nature-friendly people, the process of intentionally destroying wood to achieve a distressed look might be a bit too much but if you don’t really mind, distressed wood floors are super nice. What is out of Date for 2019? 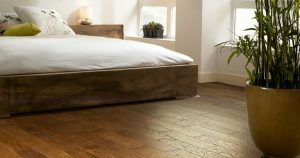 So what are flooring options you need to avoid in 2019? Stains that have red undertones, as well as red stain colors, are out of vogue for 2019. Really, they don’t have so much going for them in the first place; they are quite challenging to combine with interior decoration. If you have a red tone floor, you can go with a browner stain to mask the red. Yellow tones have become very dated. When you use no stain or a light stain with an oil based poly, the result is a yellow floor and with time, they turn more yellowish or orange. To avoid this, just go with natural and utilize high-grade water-borne polyurethane instead of the oil. Majority of the exotic hardwoods are red or have orange/red undertones. These include Mahogany, Brazilian Cherry, and Tigerwood. These hardwoods are quite expensive but their orange or red colors are outdated and they minimize the paint color options you can have for your room. Many years ago, bamboo was considered an exotic and interesting environmentally friendly wood. Unfortunately, it doesn’t hold well against scratches and dents, or water when compared to other woods. They also come with lots of adhesives which makes them a bad choice for air quality indoors. These types of floors are really outdated and they are very impractical. They are harder to maintain because they show dents, scratches, and dirt as a result of their light reflection. They require more cleaning and refinishing. This looks cheap and outdated. They make space look busier and smaller than they really are. With time, they start to separate and get out of alignment and begin to gather more dirt. Manufacturers have stopped producing them and they are hard to replace. In case you have parquet floors and you want to change them, it is recommended that you go with a dark stain to camouflage the stains and gaps. 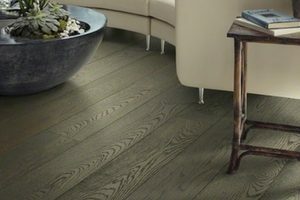 There you have the top trends in wood flooring for the year 2019. Obviously, some of these trends have been growing for many years; and there is the likelihood that they will continue to grow. From the information above, it is obvious that there is a strong preference for lower luster, more subtle textures and colors, and cooler tones. There are also various unique choices that are trending in the industry right now and this will probably continue for many years to come.